ValueBoost™ is a proud offering of Archway Masters Design and Construction, affording homeowners the opportunity to renovate in an effort to add value to their homes to compete better in the marketplace when listing with no out of pocket costs up front. 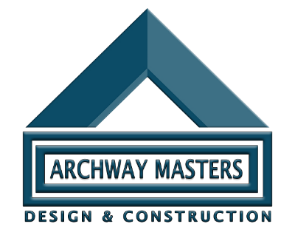 Archway Masters performs all the necessary design and construction work while you rest easy, knowing your home will no longer sit on the market unsold. Archway Masters receives payment for our services upon the sale and closing of your home, so rarely does money ever have to come out of your pocket! Archway Masters provides a win-win scenario for you and your buyers, allowing you to move on with your life stress-free. Add Curb Appeal – They say curb appeal sells a home, but most don’t have thousands of dollars to this VERY important ValueBooster. Fortunately, we take care of the upfront costs, so you don’t have to. Kitchen and Bathroom Upgrades – Modern buyers are looking for the heart of the home, the kitchen, to be everything they had dreamed of. Updated bathrooms are a must. Most don’t want to do the work themselves AFTER purchase. We bolster the sales price and help minimize days on market with our fresh designs and expert implementation. Updating and Remodeling – Sometimes, the home just needs a general once over in order to bring it up to the standards of the modern buyer. By providing renovations with no upfront cost, Archway Masters eliminates the biggest headache… figuring out how you are going to afford it! Since we are using our own funds to complete all renovations on each project we take on, rest assured our contractors will preform on time and on budget. Remember, we don’t get paid until the property sells. It also means we can make our own decisions on who qualifies for our ValueBoost™ program. Although there are some qualifications, they are flexible guidelines and we will take into consideration other compensating factors.